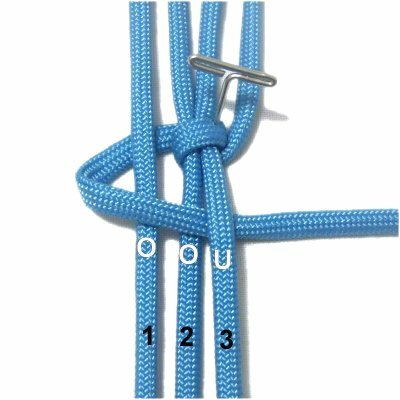 Description: The Linen Stitch is a simple way to collect a group of cords into a bundle. 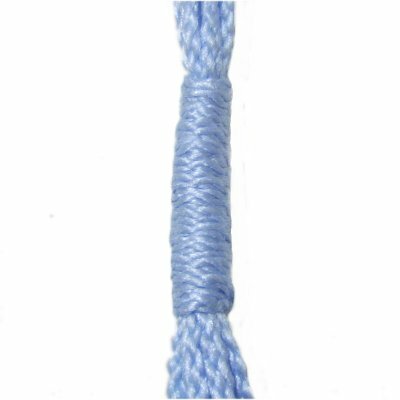 For that reason, it's called the Gathering Knot or Collecting Knot in vintage Macrame patterns. 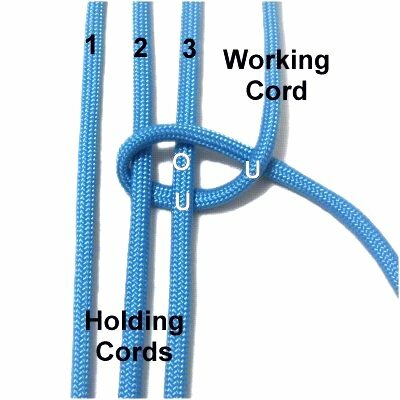 Below the instructions is a unique variation you should also practice. 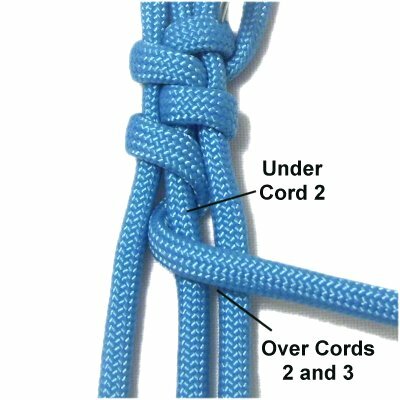 The Wrapped Knot is a similar technique you should practice next. 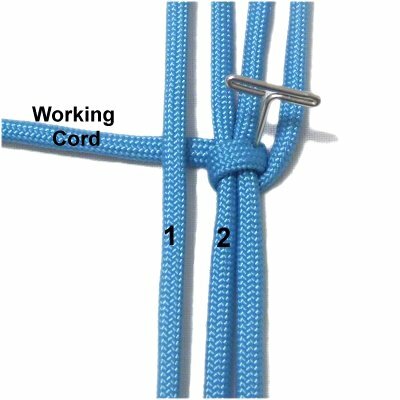 The main difference is that you use a separate cord to make that knot, where in this design the working cord is one already in use. Click on the image or link to visit the page. Step 1: To practice, secure several cords to your board vertically. They should be at least 36 inches long. The cord furthest to the right is the working cord. The rest form the CORE (a group of holding cords). 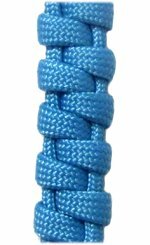 Step 2: Wrap the working cord around the core, passing under - over the cords in a clockwise direction. Bring it under the working cord to complete the loop. Step 3: Wrap around the core several times, in a clockwise direction. 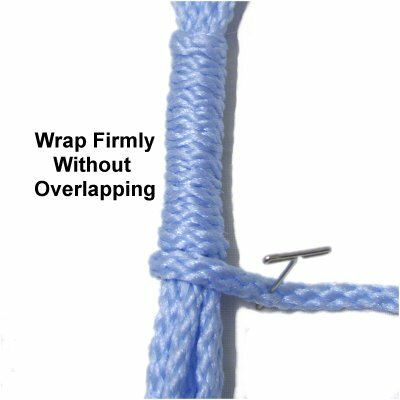 Wrap firmly and evenly, making sure the coils don't overlap. Stop when the wrapped area is the length you want. Step 4: Repeat step 2. Remove the pin and pull firmly on the working cord to tighten the loop. 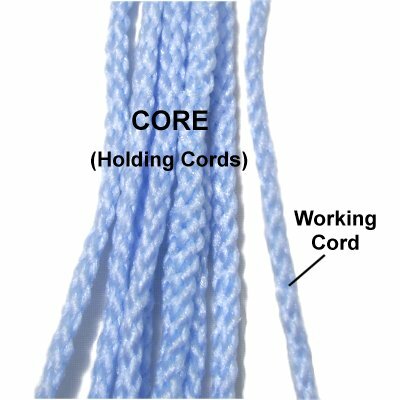 You can now finish off the working cord in whatever manner is suitable for your project. 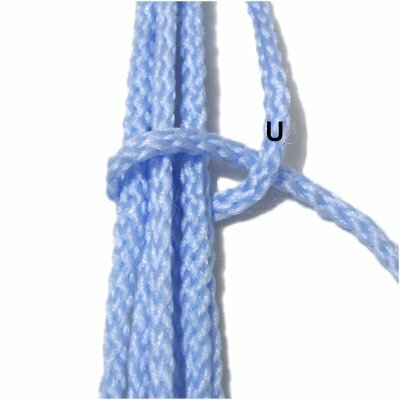 Description: This variation of the Linen Stitch is made by wrapping the cord around two sets of holding cords. This creates an alternating pattern, similar to a switchback design. This design can be used as a strap for a purse, a belt or a bracelet. You can even make it as part of a plant hanger. 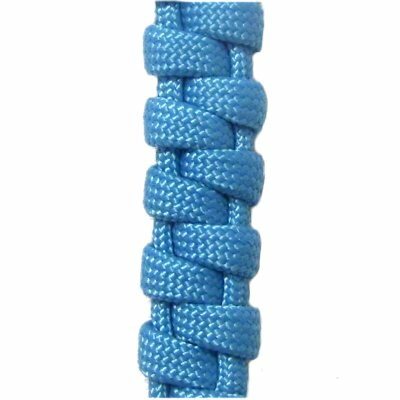 Parachute cord was used in this example because it shows the alternating pattern better than other materials. Step 1: Arrange four cords vertically on your board. The working cord is furthest to the right. Mentally number the other three, which are holding cords. 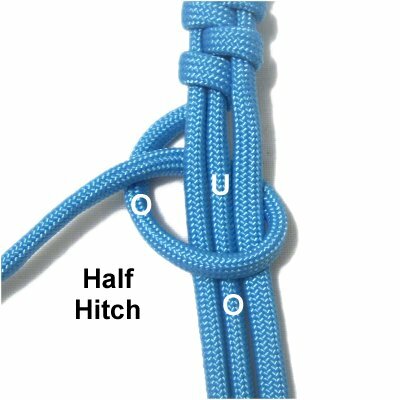 Make a reverse Half Hitch with the working cord, passing under - over cords 2 and 3 (clockwise). 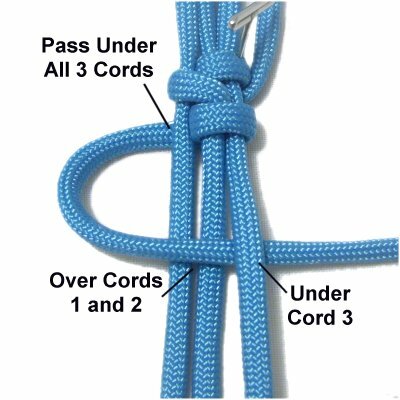 Pass it under the working cord to complete the loop. Step 2: To start the next wrap, move the working cord under the 3 holding cords, heading left. Step 3: To complete the wrap, bring the working cord over cords 1 and 2, heading right. Pass it under cord 3. Step 4: Start the next wrap by moving the working cord under holding cord 2, heading left. Complete the wrap by moving it over cords 2 and 3, heading right. Step 5: Repeat steps 2 and 3, passing the working cord under all three holding cords, heading left. Then pass over cords 1 and 2, and under cord 3 as you wrap towards the right. Step 6: Repeat step 4. Step 7: Repeat steps 5 and 6 several times, until the sennit is the size you want. Make sure you stop on Step 5. 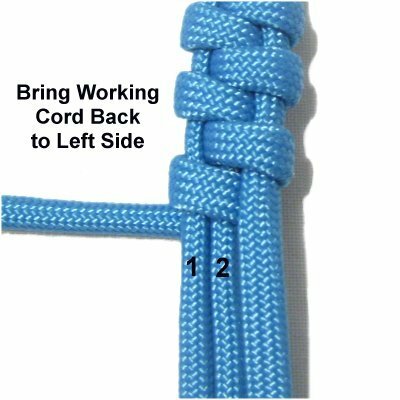 Bring the working cord to the left side of the sennit, by passing it under cords 1 and 2. 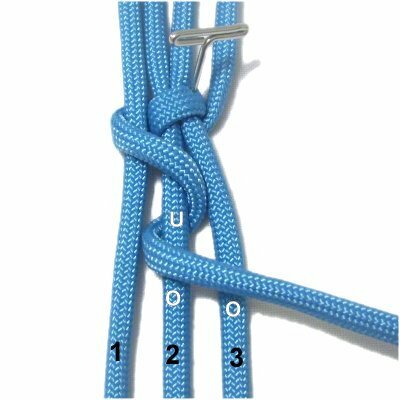 Step 8: Tie a Half Hitch with the working cord, passing over - under the three holding cords. Pull it left, passing over the working cord. Tighten firmly. 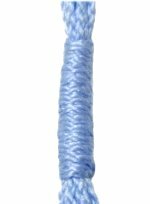 Finish off the working cord in a manner most suitable for your project. 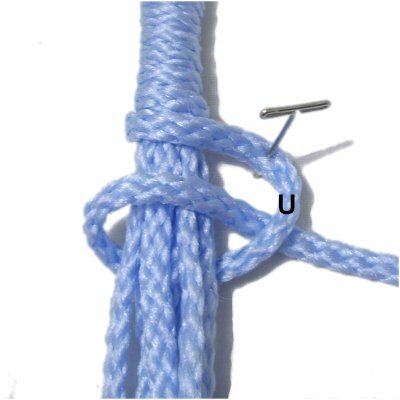 Have any comments about the Linen Stitch? Contact Me.